Oh, this color wheel project is so much fun! In the past week, I've finished two more minis, and pulled scraps for the next color. I have some secret sewing with deadlines fast approaching, so I've had to take a little break from these, but I can't wait to get back to them. 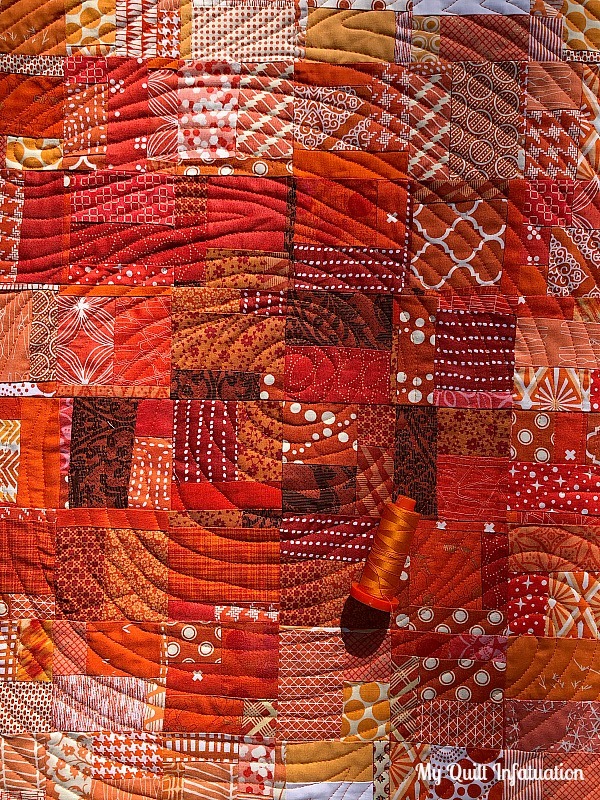 This orange quilt is called Ember. The colors dance like glimmering fire, or more specifically, like the glowing wood below the flames, and even though it moves from light to dark like the others, it is slightly different. Since I almost never use the darkest burnt orange or lightest peachy orange tones in my quilts, the color gradient is not quite as pronounced in this one. That's okay though, because I definitely want the predominant colors on the wall to be the shades/scraps I love most. Clearly my orange zone is more narrow, ranging from vibrant tangerine orange to softer creamsicle. I quilted this one with the same swooping spiral. 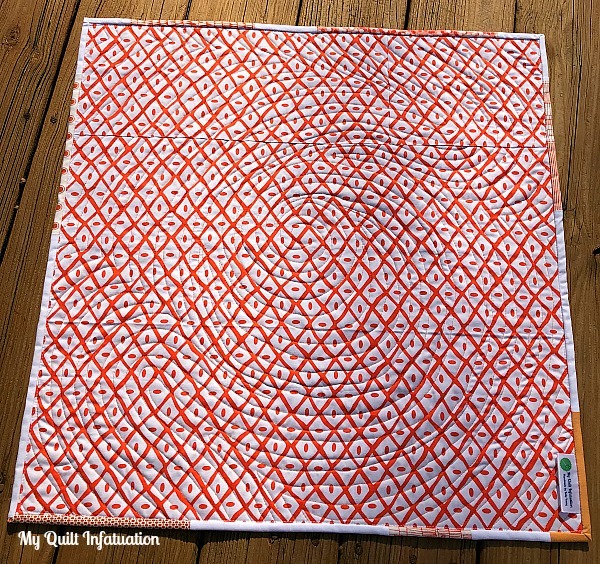 This design is really fun to quilt and it creates so much movement. 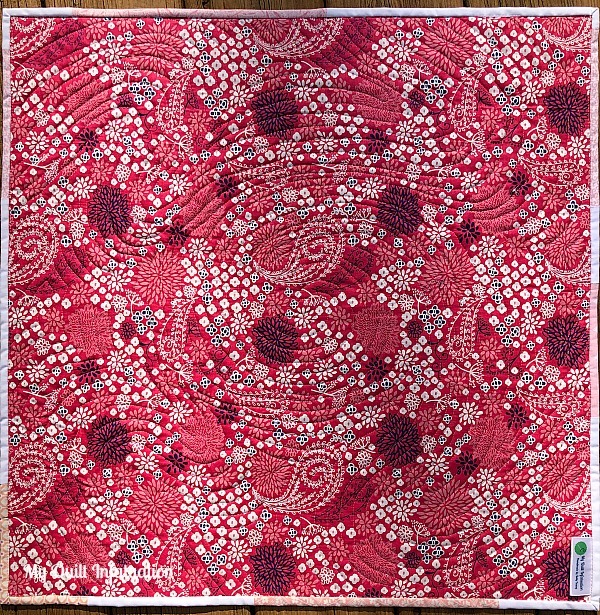 Though I don't know that I would want to quilt this on a full size quilt, it is pretty quick to do on a mini. On the backs of these, I've decided that I'm just going to pull whatever stash fabrics I have in that color. They're going to be on a wall, so the backing really is secondary here. This orange print does the job nicely. Giving a nod to Valentine's Day, the other color I finished this week is pink! If I had to pick a least favorite color in the rainbow it would be pink, so I didn't think this one would be as much fun. I honestly just wanted to go ahead and get it out of the way. I was so wrong though. I love this one just as much as the others. I actually had plenty of scraps ranging from hot pink to baby pink. 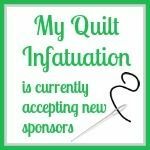 When my quilt calls for it, my personal favorite shade of pink is dark and saturated, but I've made a few baby quilts this past year where baby pink was specifically requested, so I had plenty light value scraps in my jar as well. The quilting on this one was a bit of a happy accident. When I drew the chalk line to guide my quilting, I was so focused on centering the spiral and evenly curving the swoops that I accidentally put both swoops on one side of the quilt, rather than opposing corners. Yes, I am officially using the word swoop as an honest-to-goodness word these days. Anyway, if you can believe it, I didn't step back from it and really look at the whole spiral before I started quilting, and I didn't realize it until I had quilted three full lines on the mini. Yikes! You know I'm not one to rip things out if I can think of a way to fix it on the fly, so I decided to add a swoop to the other two corners. So, this one has four! Now the only thing to do is to make half of the minis one way, and half the other. Crisis averted! Even though this dark pink print has navy accents, I decided to go ahead and use it for the backing since I had enough without piecing it together. Again, on the wall the backing won't matter a bit. All of this scrappy, swirly texture reminds me of the petals in a full, lush bloom so this one is named Peony. As I mentioned earlier, I have a few secret sewing projects to finish up, but I've already been sorting my yellows, and I can't wait to get to them. It's my last warm color! 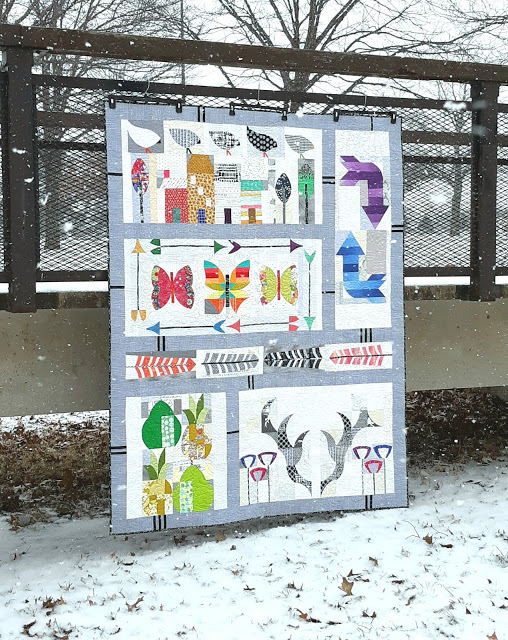 Something Rosemade linked up this awesome quilt, and that green background is calling my name! 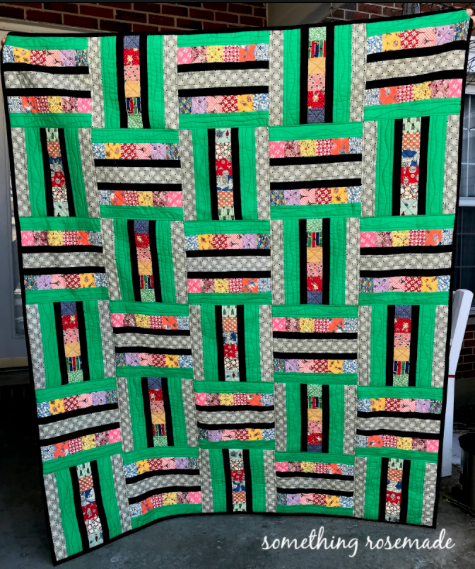 And this sweet quilt is by Shannon at The Flemings Nine. I love your improv panels! 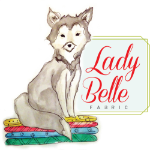 They will be so pretty in your sewing room. 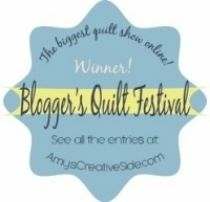 I love your quilts, pretty quilting lines! 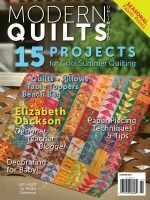 Gorgeous work again - I love the movement that comes from your spiral quilting. Pure love is what I feel seeing those minis. And great inspiration. When I have an extra hour, I'll certainly try it. Oh, I do love, love, love that orange mini! Orange is my favorite color, currently. I'm with you on the pink, liking the dark saturated pink over the lights. The quilting is just fantastic. So fun! OOOH I love them both, Ember is my favorite as I've never been a pink fan. Thank you for the cheerful early morning color splash. And thank you for the linky parry. Since Im on a pink kick and it's my favorite colors...I love the pink one! I can't wait until you finish! I want to see all of them together! What a fun project this has turned out to be! 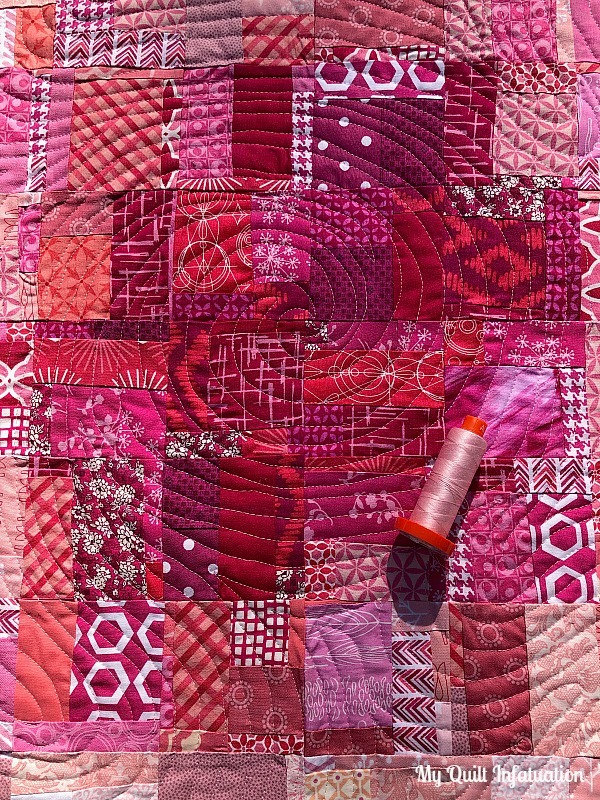 The quilting on the pink one reminds me of a satellite view of the clouds during a hurricane :) I can't wait to see all of the minis finished together. They're beautiful individually! You call it Embers - it reminds me of Solar Flares. Did you name the pink one? Raspberry Crush, may be? 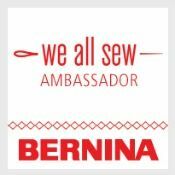 Love the quilting and the backings could not have been better coordinated. 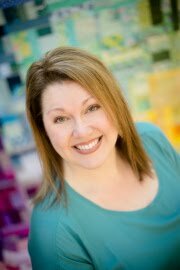 Kudos to you, Kelly!!! These are all so much fun Kelly. The pink one is especially good and I'm not huge pink fan either. I love pinky-oranges (translate coral) but not so much straight up pink. That orange mini is divine! I love all the hues in the orange. Now I think I want to copy you and do some of my own! 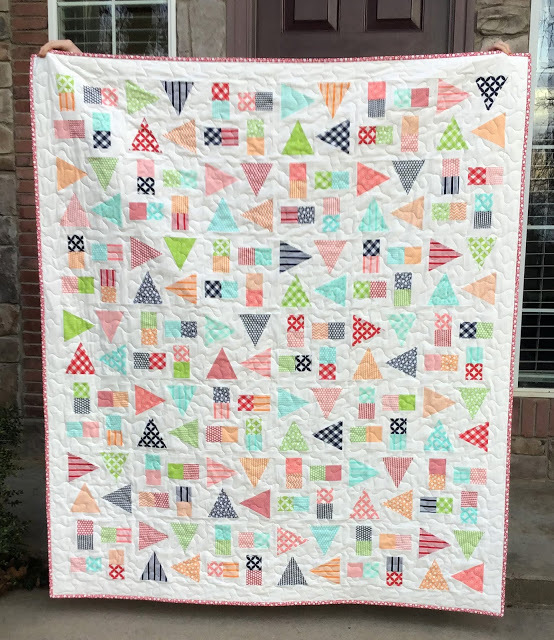 I am loving those scrappy quilts! 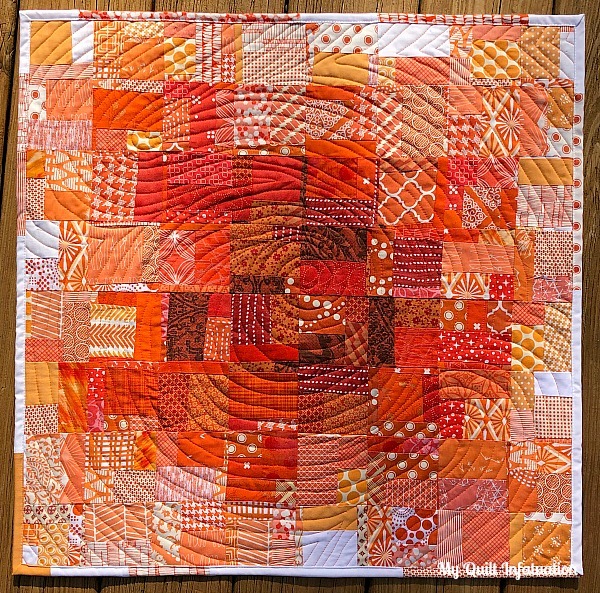 I love orange in quilts - it gives such a warm feel! I'm looking forward to MORE of these mini quilts., AND the day they are all on the wall too!! I added a link to the party, but the picture I selected did not post. Would you please delete my link? I don't know how to do that. So sorry! 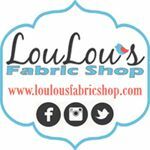 What a fun blog! Thanks for hosting the party. 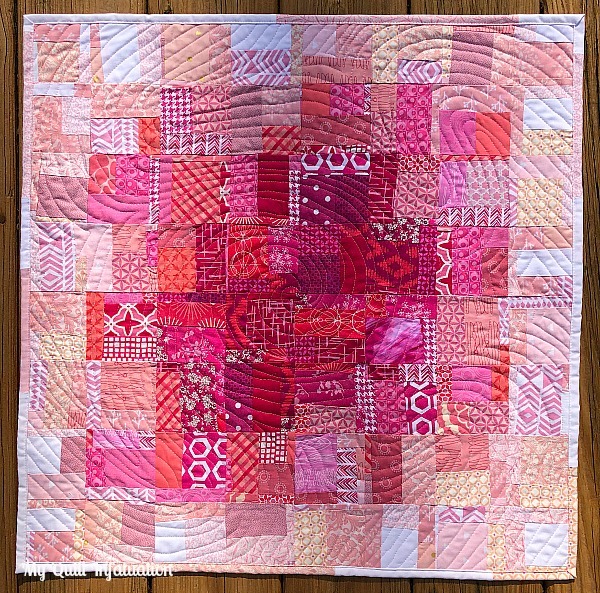 Ember and the pink quilt are beautiful. 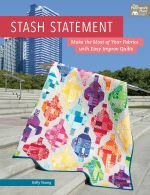 I also love the quilting - effective and forgiving! Oooh...tangerine orange....you know I ♥ orange. I think swoop is a wonderful word. You're making great progress with these minis. 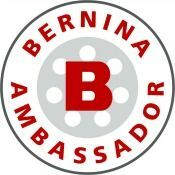 February Sponsor News and TWO Giveaways!